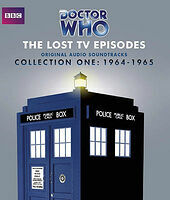 Note: First of 5 Lost TV Episodes box sets, collecting TV soundtrack audios from missing & incomplete 1960s episodes. 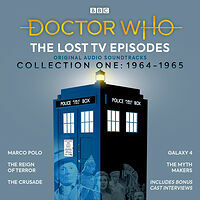 This set contains the previously-released audios Marco Polo, The Reign of Terror, The Crusade, Galaxy 4 and The Myth Makers, plus a bonus disc of interviews and PDF scripts, not previously released. 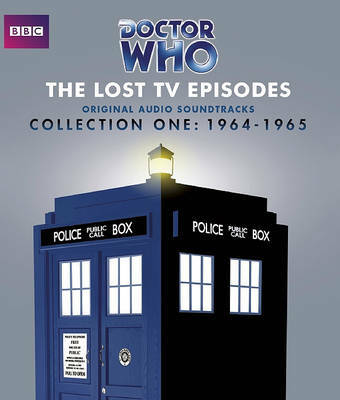 Absent from the television archives, each of these stories survives only as a soundtrack recording. Now remastered, with additional linking narration, the adventures can be enjoyed once more. With the French Revolution in full swing, the Doctor and friends find themselves caught up in the bloody events as they struggle to stay alive and find their individual ways back to the TARDIS. 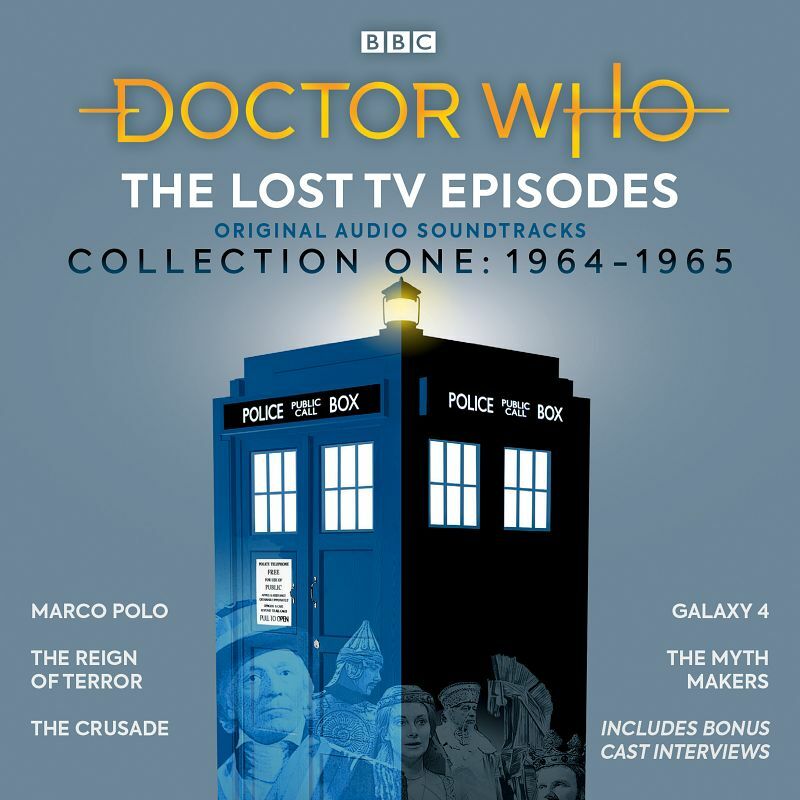 The TARDIS materialises in the middle of a holy war between Richard the Lionheart and the Saracen Saladin, in 12th Century Palestine. Intrigue and danger ensue for the time travelling companions.